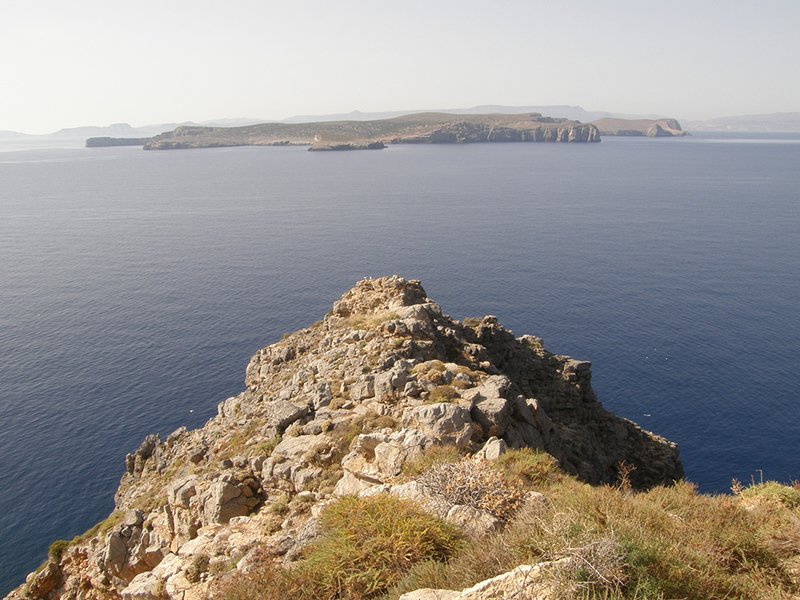 The Dionysades islands are a complex of inaccessible islets in the northeastern part of Crete, off the Sitia, with steep cliffs. They are covered by low scrub and brushwood. The islands are uninhabited, with limited visits of tourists and the only human activity exerted longer is fishing. 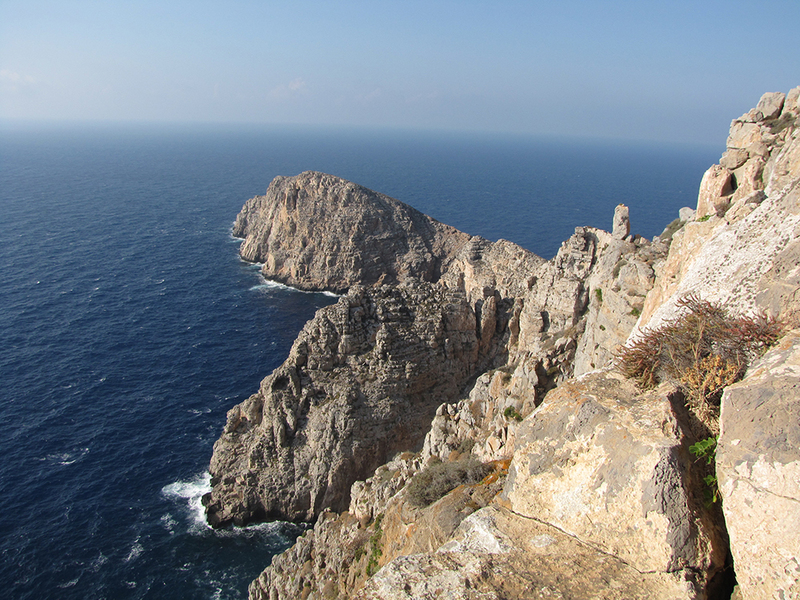 The longest bird monitoring program in the country has been implemented in this complex of islands. 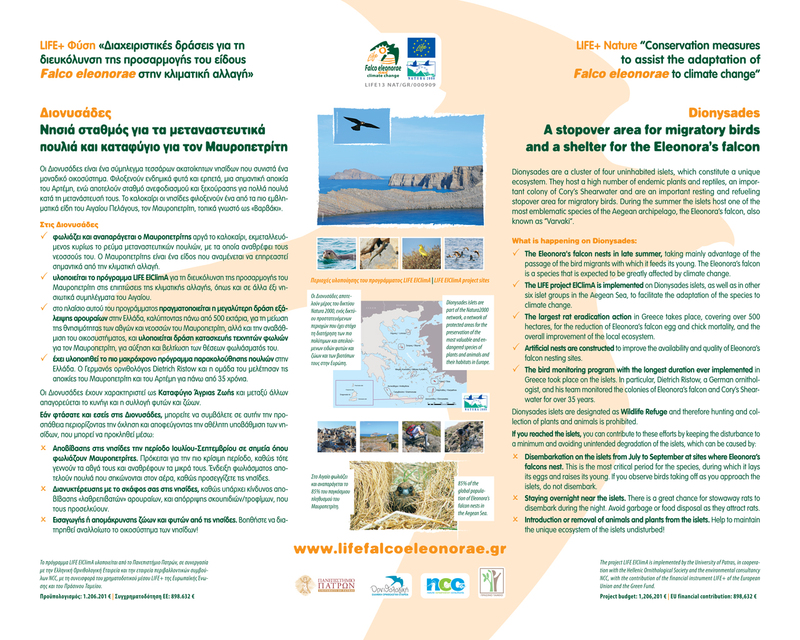 German ornithologist, Dietrich Ristow, and his team have been investigating and monitoring colonies of Eleonora’s falcon and Artemis (Calonectris diomedea) for more than 35 years. About 600 pairs of Eleonora’s falcon nest in the region. 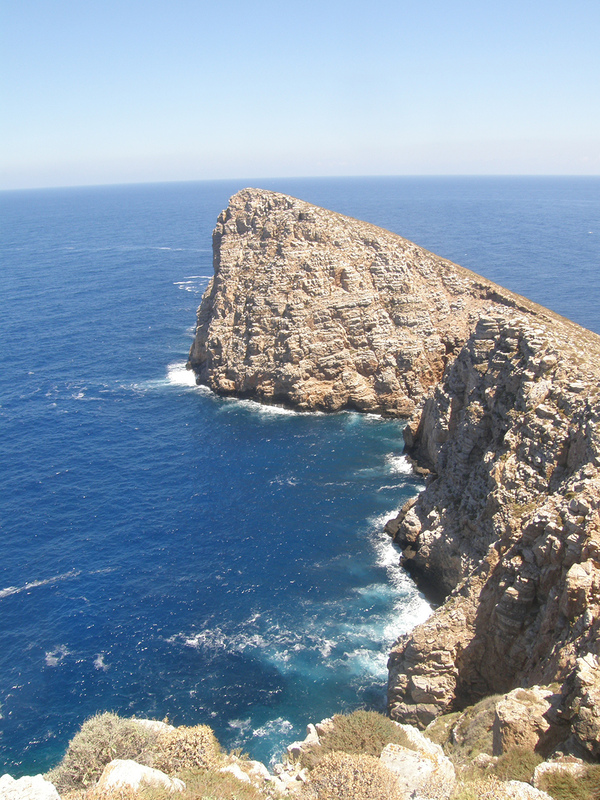 The area is part of the Natura 2000 network (GR4320011, GR4320006), while it is also a Wildlife Refuge.